Last year at the PDIT Conference in Mumbai, packaging designer Rob Vermeulen ended his presentation with a photograph of the plastic strewn beach at Juhu outside his hotel. Sukhdev Singh Saini of General Mills began his presentation at the same conference by admitting that his young daughter asks him if he, too, as a packaging professional, is one of those guilty of creating the mess on our roadsides, rivers and oceans. The plastic waste that enters the water around Mumbai is likely to end up either being caught in the Indian Ocean gyre and floating close to Madagascar, or being swept east and into the Bay of Bengal, said to be one of the worst places in the world for plastic pollution. India is apparently one of the world’s biggest plastic polluters, creating more than 15,000 tons of plastic waste a day according to an article by Alan Evan in The Guardian. All too apparently 6,000 tons of this plastic waste lies uncollected every day. An estimated 4 to 12 million metric tons of plastic reaches oceans every year. A 2016 report forecasts that by 2050, the amount of plastic in the sea will outweigh the amount of fish. 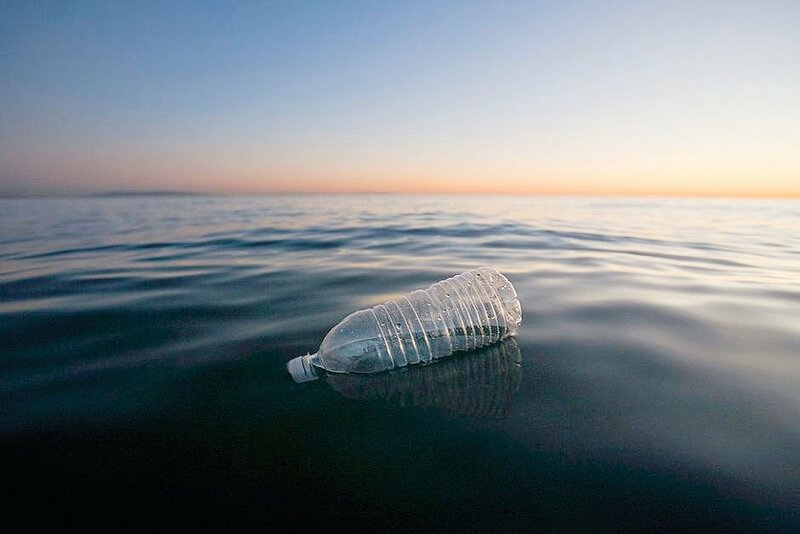 Also a normal plastic bottle takes about 450 years to break down completely in the ocean. Much of the plastic debris in the ocean sinks to the ocean floor and much is ingested by marine life and ultimately by humans too. The floating plastic garbage can be tracked by floating buoys to see where it ends up. According to oceanographer Erik van Sebille, strong ocean currents or gyres deliver huge amounts of garbage in six major garbage patches or plastic islands around the world with the largest one being in the North Pacific. A plastic bottle dropped in the water off the coast of Shanghai China will likely be carried eastwards by the North Pacific gyre and end up a few hundred miles from the western coast of the US. A bottle dropped into the same ocean near Acapulco is likely to get caught in the same gyre with some of the plastic moving south but a large part moving west towards Asia before ending up in the Great Pacific Garbage Patch. The North Atlantic currents have their own powerful dynamic – when plastic debris is deposited in the ocean near New York it tends to first head toward France with a concentration in the rough seas of the Bay of Biscay. A smaller portion heads to the North Sea but most of the plastic garbage is trapped by the currents and ends up in the middle of the Atlantic Ocean. Plastic bottles thrown into the sea off the northern coast of the UK may partly end up in Scandinavia but the majority of the floating garbage will likely end up near France or drift towards North America.